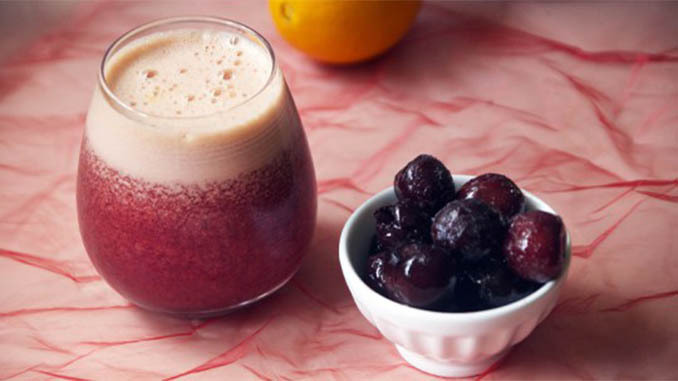 This cherry orange cranberry detox juice recipe has become one of the most popular among readers visiting our website. The cherries give this detox juice a sweet twist and best of all, they’re rich and full of antioxidants! Cranberry juice can be a bit tart and the oranges can be a bit acidity, but the cherry will round all of that out very nicely. 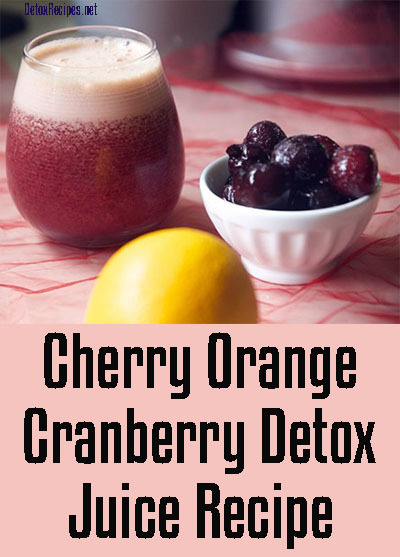 Try making this cherry orange cranberry detox juice yourself and see just how good it really is. I recommend making additional servings for friends! 3) Mix in the cranberry juice. 3) Serve chilled and enjoy! Mixing all of these fruits together will create one powerful cocktail of Vitamin C, anti-oxidants, and some added benefits to your healthy urinary system. The ingredients above will make 1 serving, so be sure to pickup extra at the store if you plan to make additional servings! Prep time is 10 minutes.